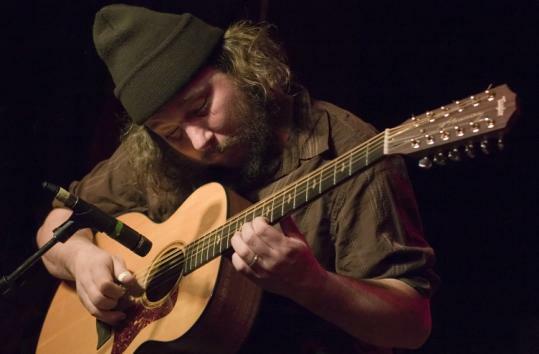 NEW YORK - Jack Rose, whose complex improvisations on six-string, 12-string, and lap steel guitar earned him a devoted cult following, died Saturday in Philadelphia. He was 38. His death, apparently of a heart attack, was announced by Three Lobed Recordings, which released Mr. Rose’s album “The Black Dirt Sessions’’ this year. Mr. Rose began his career in the early 1990s with Pelt, a rock band whose sound was loud and cacophonous and whose repertory consisted largely of long, dronelike improvisations. But he was best known for his solo acoustic work, which was quieter, more delicate, and informed by the aesthetic of an earlier era. In a 2007 interview on the online music magazine Foxy Digitalis (digitalisindustries.com), Mr. Rose said much of his inspiration came from music of the pre-World War II era, “anything that’s pre-1942: Cajun, country, blues, jazz, all that stuff.’’ But, he added, he was also influenced by Minimalist composers such as Terry Riley and La Monte Young. In using the fingerpicking techniques of an earlier time to create ethereal improvisations that belonged to no particular style or era, Mr. Rose also acknowledged his debt to John Fahey and other experimental guitarists of the 1960s. Mr. Rose released close to a dozen albums on various labels, many in limited pressings. He had recently signed with the independent label Thrill Jockey. He leaves his wife, Laurie.